Lewis Hamilton heads to Mexico City with a second shot at winning the world championship. The Mercedes star needs to finish only seventh to wrap up the fifth world title of his career. Here, we look at the key talking points ahead of Sunday’s race. Lewis Hamilton’s championship challenge rolls over to Mexico this weekend after his failure to get the job completed in the US. It seems highly probable that the Englishman will emulate Juan Manuel Fangio by winning his fifth world title. The Mercedes driver needs just five points to beat Ferrari’s Sebastian Vettel for a second straight year. Hamilton won the title in Mexico last season, and if he is seventh or higher when he takes the chequered flag, he will repeat his 2017 feat. And given that the 33-year-old has finished no lower than fifth in the 17 races he has finished this season, it would appear a formality. It is also worth noting that Vettel must win all three remaining rounds to stand any chance of stopping Hamilton. The mistaken-ridden German, however, has won just once since the summer break. Vettel will be counting down the days to the end of the season. For the opening half of this year, it appeared as though Vettel and his Ferrari machinery may have what it takes to stop Hamilton’s Mercedes juggernaut. 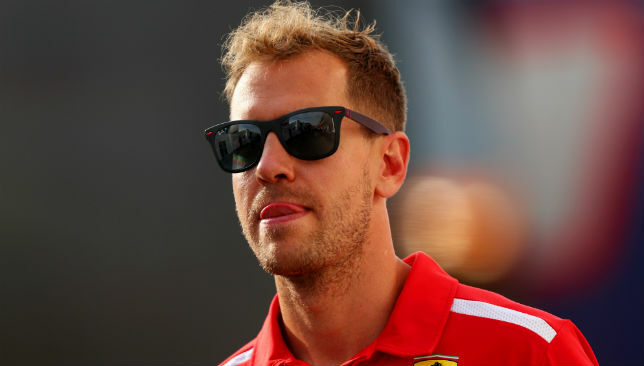 But, on danger of visiting old ground, Vettel’s challenge has fallen apart following a catalogue of mistakes, not least in the United States last week when he collided with Daniel Ricciardo’s Red Bull on the opening lap. Indeed, the German has spun in three (Italy and Japan being the others) of the last five rounds. “The championship is all about consistency, and Vettel has done the opposite,” Nico Rosberg, the man who beat Hamilton to the 2016 title, told F1’s Beyond the Grid podcast. “He’s been all over the place in the last few months. 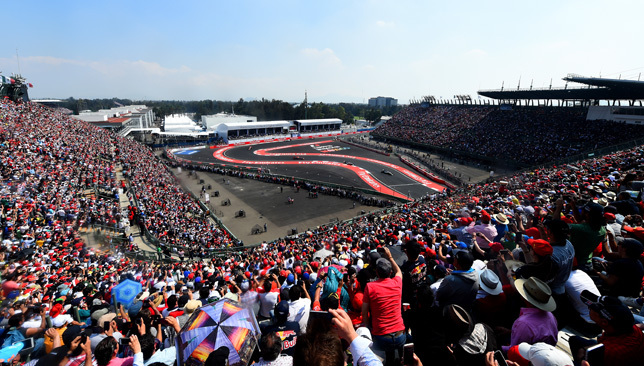 The Mexican Grand Prix, which returned to the calendar in 2015 after a two-decade absence, has been a real success, and tickets for Sunday have already sold out. The race at the Autodrom Hermanos Rodriguez takes place a staggering 2,000 metres above sea level, and the high altitude presents a unique series of challenges to both man and machinery. 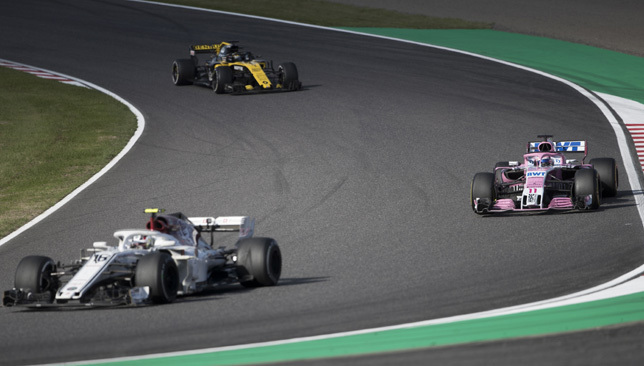 Red Bull fared well here last year, with Max Verstappen taking the chequered flag, and don’t be surprised to see them challenging both Mercedes and Ferrari again this weekend. Should Friday practice be scrapped? There is a growing feeling that Friday’s schedule, which features three hours of testing, is in desperate need of a revamp. The lack of practice dry running in the US meant teams were unable to collate all the data they normally would have, contributing to the unpredictable nature of a thrilling race. Race promoters are understandably hesitant against abolishing practice altogether with tickets sold separately for Friday’s running. Ross Brawn, F1’s motorsport boss, however, has hinted that he wants to make a change. The US Grand Prix proved a TV hit with 5.5million tuning in to watch the Austin race, the sport’s biggest UK audience in nearly three years. The race was shown on both Channel 4 and Sky Sports, and courted a bigger combined audience than the X Factor on ITV. 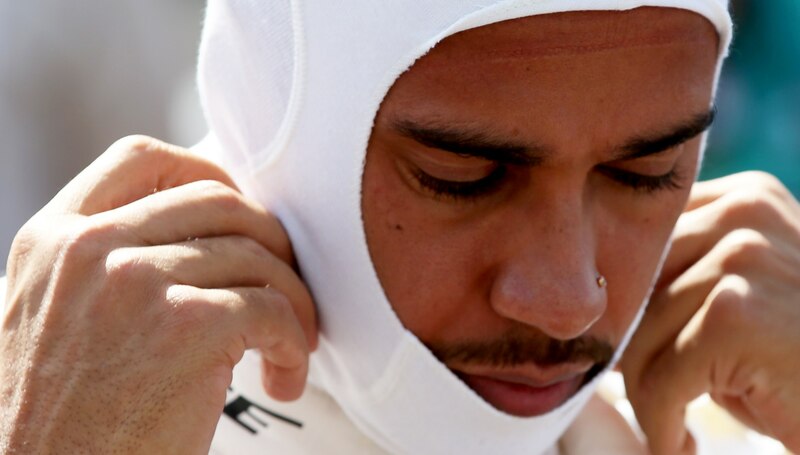 The race in Mexico however, will be screened exclusively by Sky, with a live viewership likely to be nearer one million for Hamilton’s probable championship coronation. Channel 4 will continue to show highlights packages next year, but they will only have one race, the British Grand Prix, live. 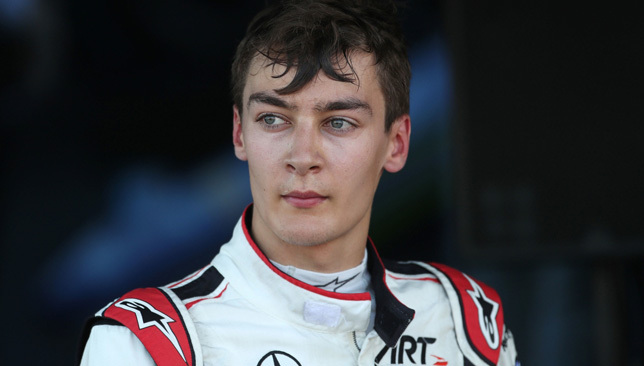 George Russell beat Norris to the Formula 2 title last season. George Russell has got what it takes to deal with the pressure of being Formula One’s next big thing, his new boss Claire Williams has said. Russell, 20, was confirmed as a driver for Williams earlier this month, joining Lewis Hamilton and McLaren rookie Lando Norris as the third Briton on the grid in 2019. The young Englishman boasts an impressive record in motor racing’s junior categories, and is set to enhance his blossoming CV by clinching the Formula Two championship, F1’s feeder series, in Abu Dhabi next month. All eyes will be on Russell when he becomes the first British driver to race for Williams since Jenson Button, nearly two decades ago, at the season opener in Melbourne, Australia. “The pressure is going to be on George,” deputy team principal Williams said. “But he is mature, and he will be able to handle that pressure. “He is an individual who knows what he wants, and he works hard to go after it. That is what I love about him, his sheer determination. A Mercedes junior driver, Russell initiated his move to the British constructor by making contact with Williams at the German Grand Prix in July. A little over two months later, Russell had signed on the dotted line, posing with Sir Frank Williams, and Claire, at the team’s Oxfordshire HQ. Sir Frank, 76, remains team principal, but is rarely seen in the paddock these days, attending only the British Grand Prix this season. “Frank loves George,” Claire added. “George is very British and Frank really enjoys that. Russell, 6ft 2in tall but weighing just 68 kilograms, will be one of the tallest drivers in the sport. “Frank’s main concern is always ‘how tall are you? And how much do you weigh?’ So, poor George had quite a lot of that from him,” Claire added. “He is tall, and there is nothing to him. The weight issue will be a worry, but he has had his seat fitted, and we know he gets into the chassis. 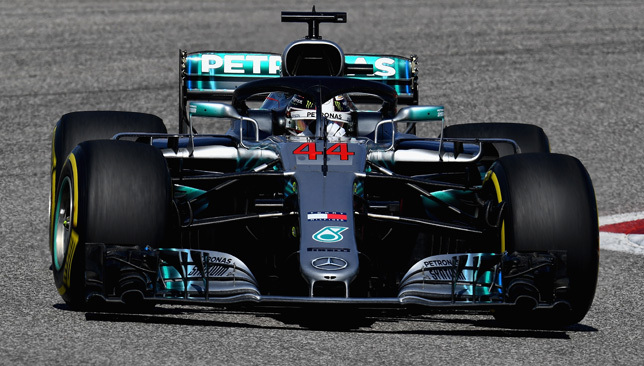 Russell, reserve driver for Mercedes, will be in Mexico City this coming weekend to watch at close quarters Hamilton’s probable championship coronation. 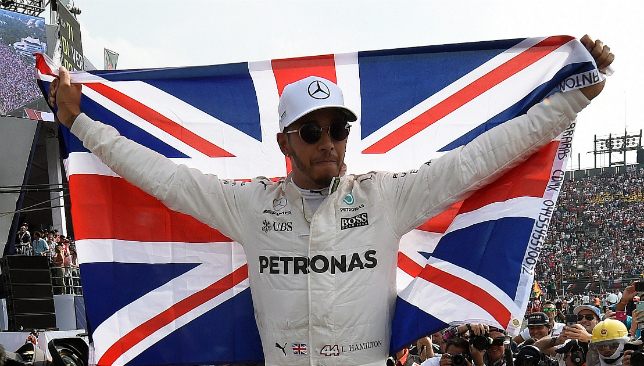 Hamilton, 33, needs to finish only seventh on Sunday to secure his fifth world title.